I'm not sure if you are aware of this but teenagers are pretty much obsessed with their cell phones. While it's true that I do have the occasional student who does not have a cell phone, I'd say 99% do and are glued to those little devices. It's a constant battle to teach them cell phone etiquette and convince them that there is a time and place for electronics, but class time isn't it. Don't get me wrong, I'm not against technology and I do actively seek out ways to incorporate new apps, websites, and tech ideas into my teaching. I LOVE Remind 101 and so do my students, for example. However, cell phones can be HUGE distractions in the classroom setting. I originally saw this idea on Pinterest (of course) and tried to find the original source but the link led nowhere (don't you just hate that?). 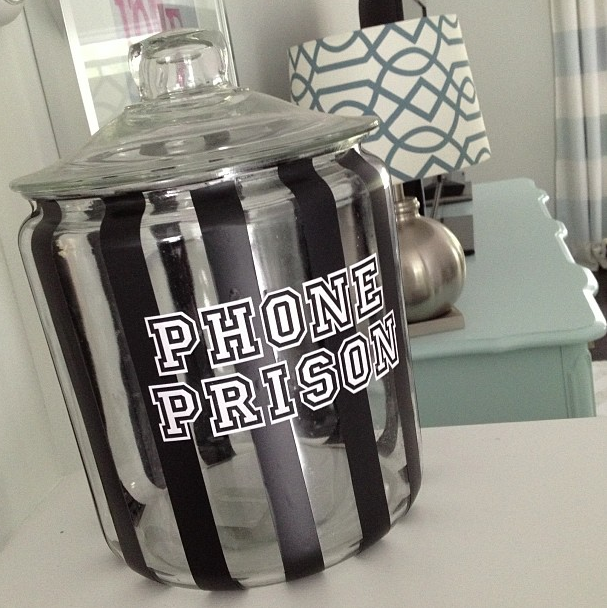 So, I created my own version using a large glass cookie jar and black electrical tape for the 'bars'. The words were printed out on white paper, then cut and glued to the jar. The jar sits on top of a file cabinet in my classroom where it is easily in view. This students actually think it's pretty funny and have said things like 'I better tell my phone to be good so it doesn't end up in prison'. Some have even voluntarily sequestered their own phones when they think they can't control themselves! This would work well in many other social situations, too, as I know many adults who seem to have a problem putting their phones away when they should be engaging with others who are in the same room as them. My grandmother even wants me to bring the jar to our family's Christmas gathering! What do you think? Where would you use one of these jars? Oh my, this is just adorable! I am studying to become a teacher right now, and things like this makes me so excited to get started. 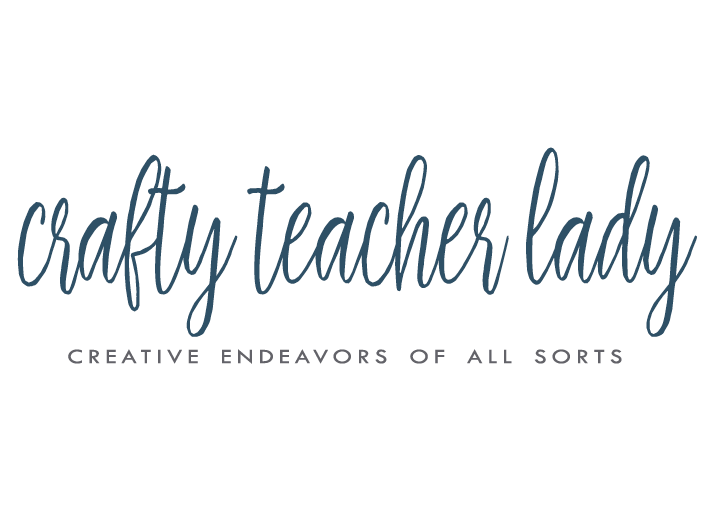 I will definitely be following you blog from now on to see all of the creative things you have on here!